Liverpool football great Kenny Dalglish has been knighted and Oscar-winning actress Emma Thompson made a dame in the Queen’s Birthday Honours – while Network Rail boss Mark Carne has attracted criticism for his recognition. Mr Carne received a CBE against a backdrop of huge disruption for train passengers in recent weeks, with politicians and rail groups describing the award as a “slap in the face” for commuters. Labour MP Lisa Nandy called for his honour to be withdrawn, saying there was “absolutely no way that the Government should press ahead with this award”. She told The World Tonight on BBC Radio 4 that the decision was “just another kick in the teeth” for rail travellers. “It’s the most astonishing thing to have happened in a week when commuters have been suffering from rail chaos”, she added. Former Liberal Democrat leader Tim Farron said the award “brought the honours system into disrepute”. The Department for Transport admitted the timing of the announcement of the outgoing chief executive’s award for services to the rail industry following timetabling issues was “unfortunate” but added that recent problems should not detract from his overall service. Network Rail chairman Sir Peter Hendy also defended his “tremendous contribution to our railways”. Rail bosses defended the honour for Mark Carne. Meanwhile, also among the honours list in this 100th anniversary year of women’s suffrage are remarkable females including a nun fighting modern slavery and a businesswoman who made her fortune in fake tan – although men outnumber women on the list. As the NHS celebrates 70 years since its foundation, medics are recognised for their dedication, with health sector workers making up 12% of the 1,057 people honoured. 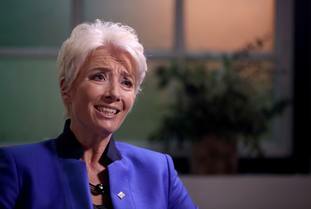 Emma Thompson has been honoured for services to drama. 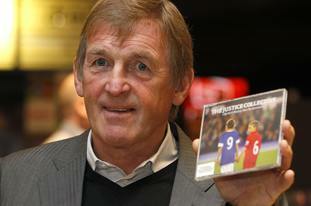 Liverpool legend Kenny Dalglish was honoured for his contributions to cancer and Hillsborough campaigns. Former assistant commissioner of the Metropolitan Police Mark Rowley will receive a knighthood. Sunday Times rich list leader Jim Ratcliffe gets a knighthood. Sporting stars are well represented among the recipients, with Premier League and England striker Jermain Defoe describing himself as “blessed and humbled” to be recognised with an OBE for his services to the charitable foundation set up in his name. The honour comes almost a year after the death of six-year-old football mascot Bradley Lowery, with whom the player struck up a strong friendship as the little boy battled a rare childhood cancer. World heavyweight champion boxer Anthony Joshua is made an OBE for services to sport, while 20-year-old alpine skier Menna Fitzpatrick, Britain’s most successful winter Paralympian, is the youngest on this year’s list, picking up an MBE for services to Paralympic sport. 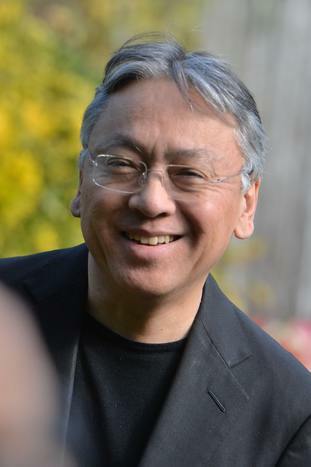 Author Kazuo Ishiguro is knighted for his services to literature. Investigative reporter Stacey Dooley gets an MBE. Veronica Donovan, a consultant midwife at Birmingham Women and Children’s NHS Foundation Trust, is made an OBE for services to midwifery, while palliative cancer care specialist Debra Smith receives a BEM for services to nursing. In the business sphere, Judy Naake, who made millions selling St Tropez self-tanning products, initially from the back of her car, receives an MBE for services to entrepreneurship, the community and philanthropy. Jo Malone is awarded a CBE for services to the British economy. Of the total number recognised in the Queen’s Birthday Honours list this year, 210 have been made an OBE, 392 an MBE, and 318 awarded a BEM. Forty-nine percent of the honourees are women, while 10% of all those on the list are from black and minority ethnic (BAME) backgrounds.